Memory Liquidation! Priced to Sell! USA Fast Ship! Data Transfer Rate 1333Mhz. Capacity 4GB. Pins 240 Pin. Mac Pro "Twelve Core" 2.66 (Server 2010) MacPro5,1 BTO/CTO A1289 32GB, 64GB 128GB 8. Mac Pro "Twelve Core" 2.93 (Server 2010) MacPro5,1 BTO/CTO A1289 32GB 128GB 8. Mac Pro "Six Core" 3.33 (Server 2010) MacPro5,1 BTO/CTO A1289 32GB 48GB 4. CAPACITY 16GB. SPARE NUMBERS. MANUFACTURER SAMSUNG. All Categories. We will issue you an RMA, upon receiving the product back it will go through inspection against prior out going photos, etc. We will provide you RMA#. AS9120A • ISO-9001:2008 • ANSI/ESD-20.20-2014 • WBENC • ISO 14001:2004 • ITAR. M393A4K40CB2-CTD SAMSUNG 32GB 2RX4 PC4-2666V-R REGISTERED ECC Server Memory . Condition is Seller refurbished. Shipped with USPS Priority Mail Small Flat Rate Box. 8GB 1Rx4 PC3L-12800R. 23 Lot, Samsung Hynix, Elpida, Nanya. . Manufacturer: Samsung Part Number: M393B2G70DB0-CMA Warranty: 6 Months Shipping: Free Fed Ex ground or USPS shipping. SK hynix 8GB 1Rx8 PC4-2666V-RD1-11 Server/Workstation Ram. Pulled from a working workstation. Good working condition. The item must be in the original condition with all the original materials. 1x 32GB Module. DDR3-1866, Compatible with DDR3-1600 Speed. Load Reduced DIMM (LR-DIMM). Product appearance may vary. 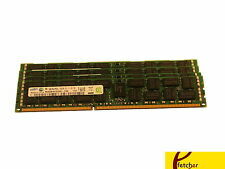 Kingston 2x 8GB PC3-12800E ECC Unbuffered RAM. 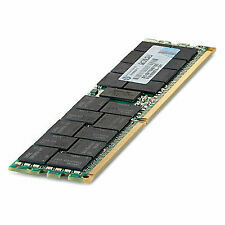 Kingston 8x 8GB PC2-5300F FB-DIMM. Product appearance may vary. (See Details Below). 4x 8gb PC2-5300F. Credit Cards. 8GB per stick ( 200GB total ). SAMSUNG 32GB 4RX4 PC3-14900L M386B4G70DM0-CMA 1.5V MODULE. Capacity - 32GB. Technology - DDR3. Manufacturer - SAMSUNG. RedByte Technology © 2019. RANK FEATURES - QUAD RANK X4. CAS LATENCY TIMINGS - CL13. 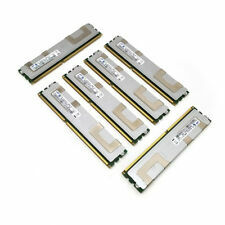 Kingston KVR16E11/8 8GB 2RX8 PC3-12800E DDR3 1600 2RX8 ECC 1.5V Unbuffered Dimm. For servers only, not for desktop and laptop. ONLY FOR SERVER. SAMSUNG M393B2G70DB0-CMA. Rank: 2Rx4. 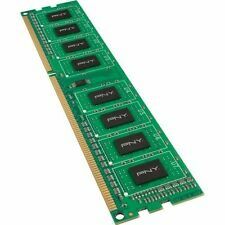 64GB (8x 8GB) PC3-10600R DDR3 1333MHz 240-Pin DIMM. Component Speed: DDR3 SDRAM. SAN Storage. Data Transfer Rate: 1333 MHz. RAID Cards. Graphics Cards. Hard Drives. Dell PowerEdge R230 R330 T130 T30 T330. US law to do it otherwise. We have no way of knowing or to be able to assist you with your country’s rules and regulations. It’s a violation of the. If you receive a defective product, we will replace it with a working one or give your money back. Proliant Gen 9 10/ 100 series servers. This will not affect functionality. Part Number. If you receive a defective product, we will replace it with a working one or give your money back. Excess inventory and refurbished originals also available. HP, Micron. Whether it's a laptop, desktop, LCD, printer or one of our other amazing deals, each piece is coming to you off-lease. As such, while the physical condition of the machine may feature small scratches or blemishes, each piece is in good working condition, ready to provide you the best experience possible. MANUFACTURER HPE. CAPACITY 16GB. SPARE NUMBER 752369-081/ 726719-B21/ 774172-001/ 726719-S21/ 726719R-B21. All Categories. Samsung 32GB 2Rx4 PC4-2133P-RA0-10-DC0 ECC Server RAM. Clean Pulls, memory was from servers that sat Idle or unused and have been decomm'd. All Memory was handled with care and ESD. 14 day return policy if any issues encountered. You are buying 16 sticks of 4gb. These are for servers and will not work on PC Desktop. 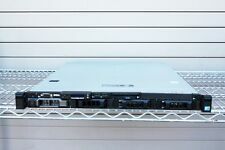 1X 32GB Samsung M393B4G70BM0-YH9 4Rx4 PC3L-10600R ECC Server RAM. Condition is Used. Shipped with USPS First Class Package. Designed for the Dell PowerEdge 1900 1950 1950 III 1955 2900 2900 III 2950 2950 III M600 R900 SC1430 T110 PowerVault NF500 NF600 NX1950 Workstation 690 (750W Chassis) Precision Workstation 490 Precision Workstation 690 (1KW Chassis) 690n (1KW Chassis) and (750W Chassis) R5400 64bit R5400 N-Series T5400 T7400 Studio Hybrid 140G. CAPACITY 16GB. SPARE NUMBER. MANUFACTURER SAMSUNG. All Categories.